Could you climb Huayna Potosi mountian? 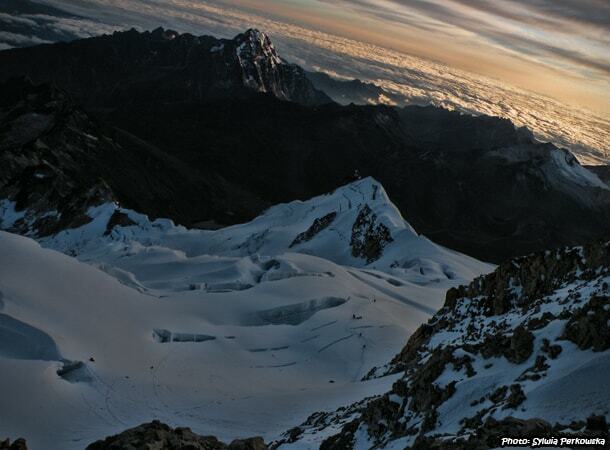 Can You Climb the Huayna Potosi Summit? Near La Paz, Bolivia, at an altitude of 6,088m – is the Huayna Potosi summit. 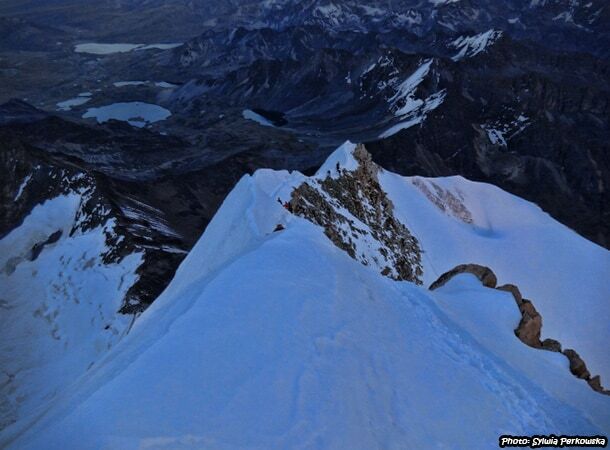 Out of all the summits that exceed 6,000m, it is considered to be one of the easiest to reach. So if you want to feel and witness what it’s like to be at such an altitude, it’s definitely worth picking up the gauntlet. Just keep in mind that everybody reacts to altitude differently. Feeling like you are on top of the world! Is the Huayna Potosi mountain for everyone? In my opinion – yes. To reach the summit you do not need to have climbing skills or experience using crampons. You just need to be in good physical condition and to be ready to walk for around 8-10 hours in the snow. Needless to say, you need to be strong-willed and have the desire to do this kind of activity (it really is NOT easy). Additionally, if you have any health problems, before deciding to climb any high mountain, consult a doctor. 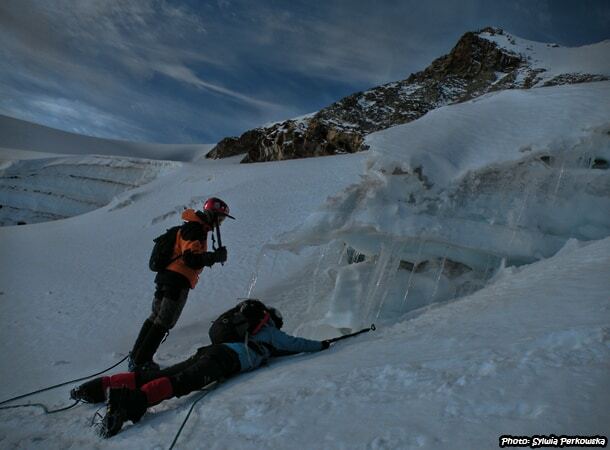 The main difficulty in climbing Huayna Potosi is the altitude. 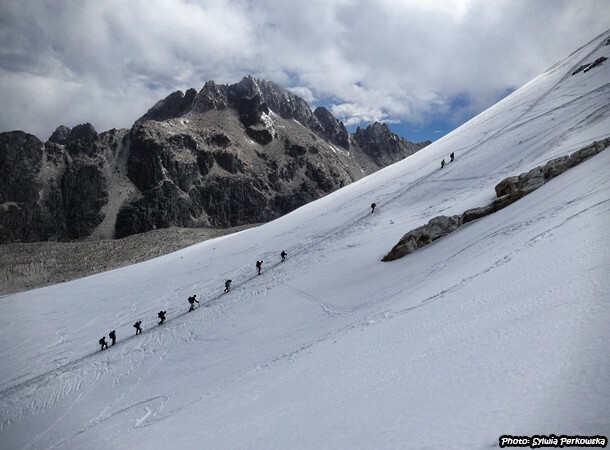 Because altitude affects everyone differently, it is tough to say whether the trek will be hard or not. Some people do not have any problems with altitude, while some start to feel it towards the top, the middle or even the beginning of the trek. It’s important to have a backup plan in case the altitude gets to you. However, the best measure is to make sure that you have acclimatized BEFORE starting the journey. 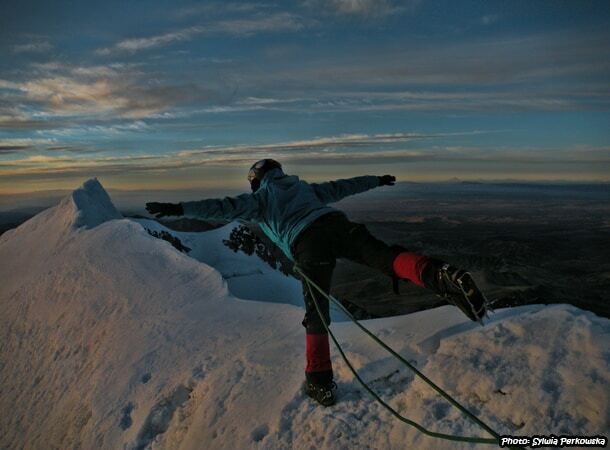 What is the best way to climb the Huayna Potosi summit? 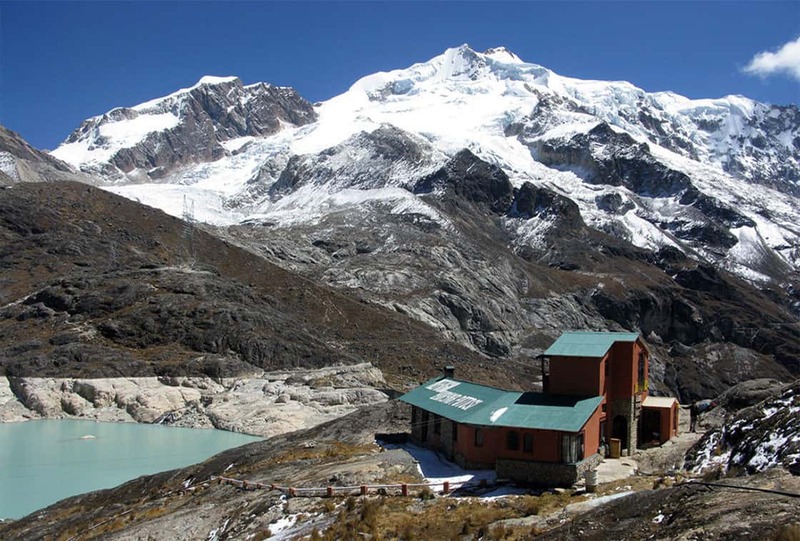 The best time to climb Huayna Potosi is from May to September, although it was in early November when I went. This was definitely the last opportunity to do this tour, as in the next few days, the weather significantly changed – so much so that it became have been impossible to climb this summit. There are a lot of companies with whom you can organize the trip, but do your research because not all companies are equal. 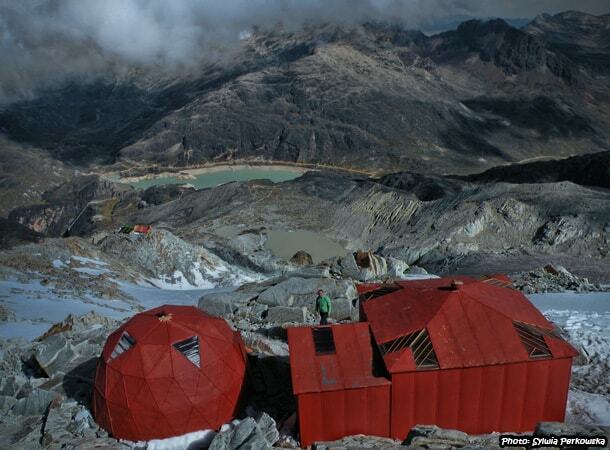 I recommend the ones which have their own lodges on the way to the summit. 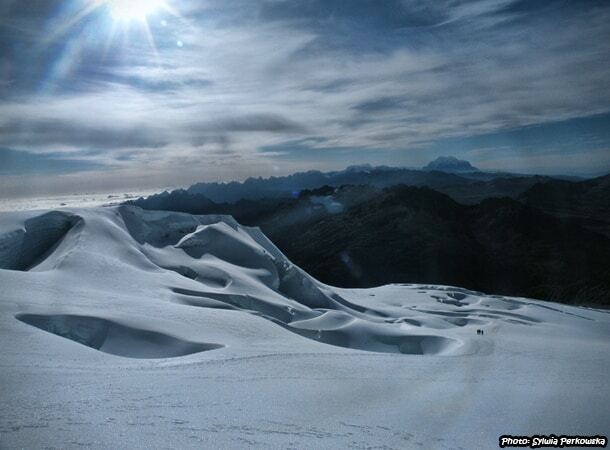 With regards to the cost of climbing Huayna Potosi, it is actually not that expensive. For our trip, the team spent about 950 Bolivianos per person. The last thing to think about, prior to choosing a tour, is whether you want to go on the 2-day or the 3-day option. I recommend that you choose the 3-day option. The price is almost the same as that of the 2-day tour, and you get an extra day to acclimatize and an additional half day of climbing. I was very happy with my decision to purchase the 3-day option. It was actually my first ever climbing course, and we all had a great experience! In summary, for those of you who have never tried climbing before, the longer option is easier and will give you more time to adapt to the challenges of the summit. 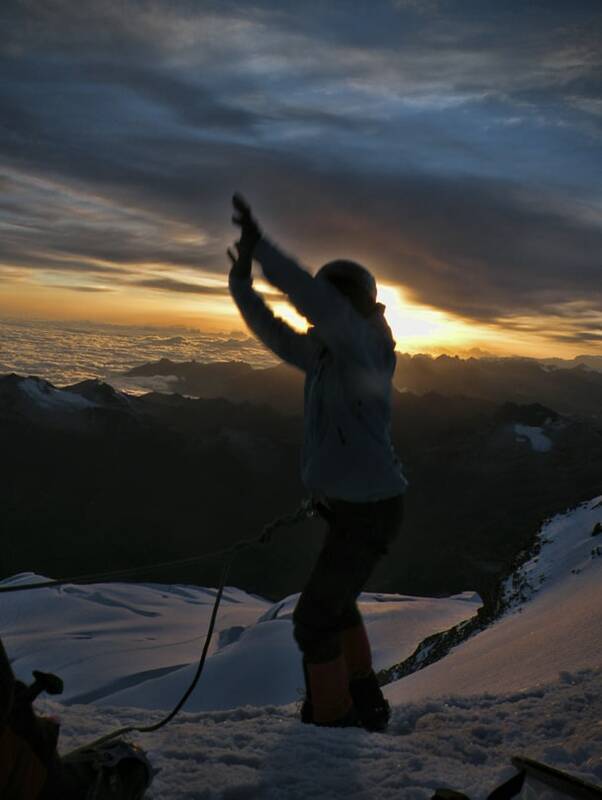 How many hours do you need to hike and climb before reaching the Huayna Potosi summit? The first day is easy. 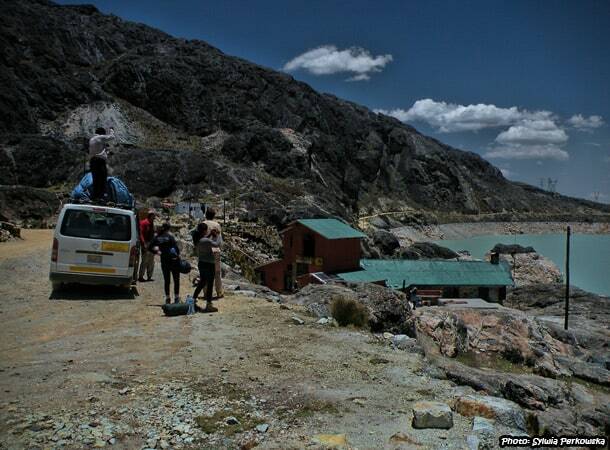 You will go by bus from La Paz to the first base (which takes around 2 hours). After a while, you will have a climbing course nearby, with all the equipment provided. The second day is a little bit more demanding, as you need to go to the second base camp which is situated on around 5,200m. On this day you will have to carry all your equipment, which definitely does not make things easier. However, you can also hire a porter to do this for you, which will cost around 100 Bolivianos. I personally decided to take my bag on my back, but I have to admit, this created problems for me on the way. I was very tired and felt sick. But finally, I somehow found the extra energy to finish this part. What was even more surprising, was that during the next part of the climb (at an even higher altitude), I did not experience any problems! Maybe my body got used to the altitude and the extra effort. Slow and steady we went! The hike to the second base camp took around 6 hours. We arrived at 3:30 PM and had the evening to rest and sleep. Yet, I could not sleep a wink, and my teammates experienced the same. It must have been because of the altitude. We started the final stretch of the climb at midnight. Unfortunately, two of our friends had to finish the tour just 10 minutes after leaving the second base, because of altitude sickness. The rest of us were continued to climb and finished with success. It took us almost 7 hours to reach the summer – but being on top of the world is really something else. I was very proud of myself, because it was my first climb and my first time being so high. Me, being filled with joy having reached the top! I was the last person who left the summit. I loved the view from the top so much, that I just did not want to come back to the base. Finally, feeling happy and relaxed, I started to make my way down. During this part, we could admire the beautiful landscape and take pictures, as the sun had only just come out. We had one last surprise on the way down. By accident, I lost my helmet, which rolled down a big hole. Fortunately we managed to rescue it. It took us around 2.5 hours to get down to the second base, where we rested a little bit, drank hot tea and after a while, made it down to first base. This descend took another 3 hours. At first base, we had a very delicious lunch after which we packed up our equipment and headed back to La Paz. Our expedition, full of positive impressions, finished in the evening. We were tired but also ready for the next adventures. If you have the chance, do try and climb the Huayna Potosi summit! You will have a lot of fun. However, please remember about acclimatization before starting the trip. 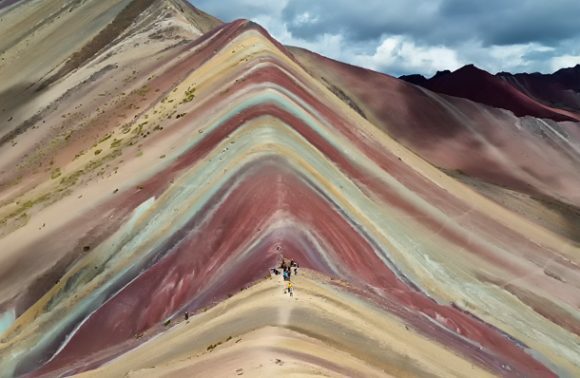 If you are interested in climbing high mountains in Peru, check out my articles about climbing Tocllaraju mountain and Yanapaccha mountain.